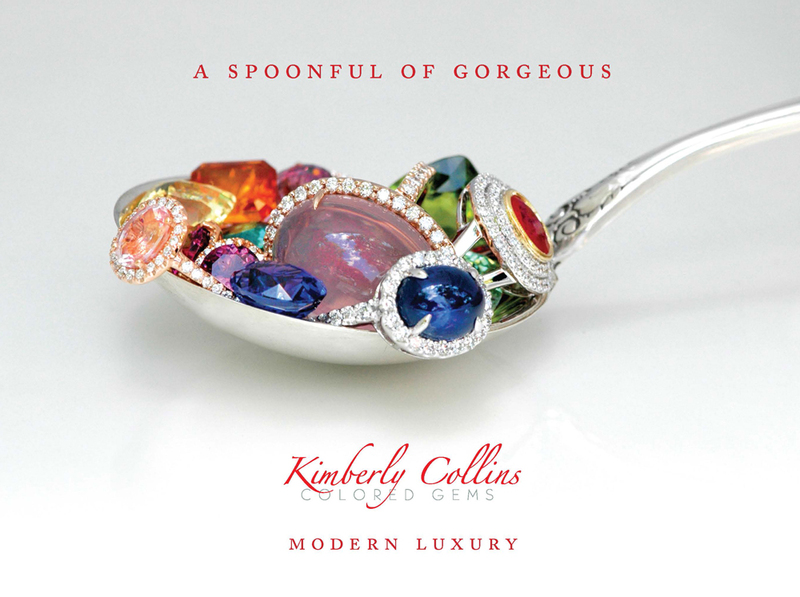 Kimberley Collins Colored Gems requested that I redesign their website and provide marketing materials that were fresh and inspiring. I thought of this idea because every time I photographed her gems I just wanted to eat them. They were perfect and candy like and beautiful. So, we used a spoon on white to highlight their beauty. She then used this image for banners, posters, mailers and online advertising.